Judge could rule on new motions Thurs. or Fri. Prosecutors and defense attorneys for Chris Watts met Thursday morning in a Weld County courtroom to discuss a handful of motions filed by each side in recent days relating to evidence in the case. WELD COUNTY, Colo. – Prosecutors and defense attorneys for Chris Watts met Thursday morning in a Weld County courtroom to discuss a handful of motions filed by each side in recent days relating to evidence in the case. A judge could rule on some of the motions Thursday afternoon or evening. Prosecutors have asked Watts to provide them and police with buccal swabs for DNA, finger and palm prints and photographs of Watts’ hands. And his defense attorneys have accused prosecutors of leaking information about the case to the press, though prosecutors have already tried to rebut those claims, according to documents released publicly. 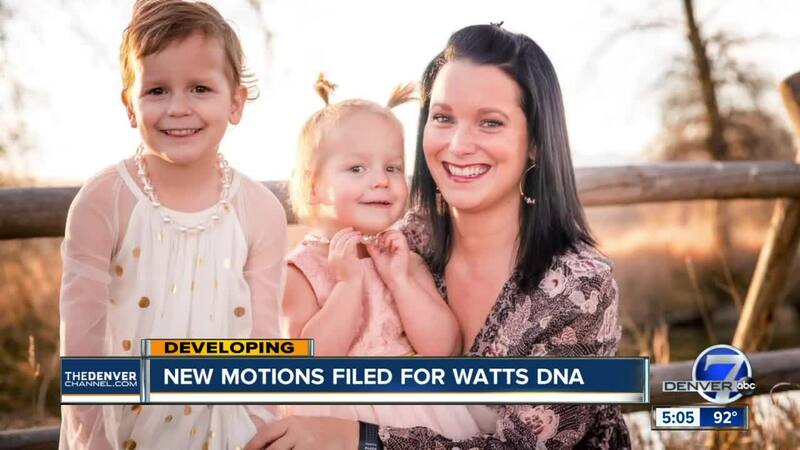 Watts was formally charged with killing his pregnant wife , Shanann Watts, and their two daughters, Bella and Celeste, in August. He was arrested Aug. 15 after initially denying he knew where the three of them were. Law experts Denver7 spoke with on Thursday about the latest motions say the asks for DNA by prosecutors are fairly standard in a murder case but say the timeframe in which the DNA and fingerprint evidence is being sought – nearly a month after police arrested Watts – is somewhat out of the ordinary. Phil Danielson is a forensic science expert and professor of molecular biology at the University of Denver who previously examined DNA results in the Jon Benet Ramsey case. He told Denver7 that prosecutors have asked for DNA from Watts so they can compare it to DNA evidence they obtained from the crime scene. “There must be other items of evidence in the case that the [Colorado Bureau of Investigation] has some indication that there’s DNA on those items of evidence, so now they need what we call a reference profile,” Danielson said. He said that prosecutors likely filed their motion because Watts didn’t want to provide a DNA sample to investigators. Watts told police that he killed his wife after he found her strangling their daughters, according to court documents. “[Prosecutors] have to have probable cause and … they may not have felt they had enough probable cause or whatever reason they didn’t collect it. It is surprising that we’ve gotten this far in the case,” Danielson said. Defense attorney Rick Kornfeld said he expected the judge would grant prosecutors’ request for DNA and fingerprints. He said that the wait time shouldn’t affect the outcome of the analysis. Kornfeld postulated that prosecutors would be seeking every piece of evidence they can in the case since District Attorney Michael Rourke still hasn’t decided whether to pursue the death penalty in the case. He said that the recent filings make him think the state is still investigating the case. It’s unclear if the judge in the case will rule on the motions Thursday afternoon or wait until Friday but a ruling is expected in coming days. Watts remains jailed in Weld County as he awaits a status conference set for Nov. 19.